Part 1 and Part 2 of this series made use of the profound teaching of Pope Pius XII in Mediator Dei to help articulate how everything we do and make for the liturgy, especially music, must be in full accord with its inherent nature and qualities, if we expect God to be pleased with what we offer and our own sanctification to result. Today I will complete the series with reflections on three paragraphs from the same encyclical that focus on the interior attitude of the worshiping Christian. 81. It is quite true that Christ is a priest; but He is a priest not for Himself but for us, when in the name of the whole human race He offers our prayers and religious homage to the eternal Father; He is also a victim for us, since He substitutes Himself for sinful man. Now the exhortation of the Apostle, “Let this mind be in you which was also in Christ Jesus,” requires that all Christians should possess, as far as is humanly possible, the same dispositions as those which the divine Redeemer had when He offered Himself in sacrifice: that is to say, they should, in a humble attitude of mind, pay adoration, honor, praise, and thanksgiving to the supreme majesty of God. Moreover, it means that they must assume to some extent the character of a victim, that they deny themselves as the Gospel commands, that freely and of their own accord they do penance and that each detests and satisfies for his sins. It means, in a word, that we must all undergo with Christ a mystical death on the cross so that we can apply to ourselves the words of St. Paul, “With Christ I am nailed to the cross” (Gal 2:19). The emphasis on Christ as Priest and Victim can no longer exactly be called popular today, and yet it sums up simply and effectively how Our Lord saved mankind by a sanguinary redemption that purchased for us forgiveness of every sin, eternal life, and the ourpouring of the Holy Spirit, which brings with it all the means necessary to be holy in this world. In short, we owe everything we are and everything we do as Christians to Christ’s perfect oblation on the Cross. The Mass was given to us precisely to place us in mind of, in the presence of, and in real contact with this saving mystery of love. Our mystical participation in it is the wellspring of our life and the pattern to which we are conformed. If our experience of the Mass and its “externals” seems to say to us little or nothing of the “religious homage” offered to the eternal Father by Jesus Christ, the high priest of our confession and victim for our sins; if it does not cultivate in us explicit acts of “adoration, honor, praise, and thanksgiving to the supreme majesty of God” (including the very consciousness of His majesty! ); if it does not lead us ever deeper into the sacrificial death of Christ so that we understand ourselves to be, and desire ourselves to be, victims with him in a “mystical death on the cross”—then one might well wonder whether it is serving its supernatural purpose at all. For sure, the mystery is still present if the consecration is valid; but are we present to the mystery? Has the liturgy, have the texts, ceremonies, music, and other elements, made us present to the Lord, Priest and Victim, as they are meant to do? 100. …While we stand before the altar, then, it is our duty so to transform our hearts, that every trace of sin may be completely blotted out, while whatever promotes supernatural life through Christ may be zealously fostered and strengthened even to the extent that, in union with the immaculate Victim, we become a victim acceptable to the eternal Father. A richly filled and ordered space for “quiet searching and interior prompting”: this is what the traditional Roman liturgy provided and still provides with a special abundance. The music of our worship, too, should promote this intimate searching for God, the fundamental motivation of the inner man, in a way that is perhaps initially disquieting as it displaces us from our worldly assumptions and expectations. 101. In fact, the prescriptions of the sacred liturgy aim, by every means at their disposal, at helping the Church to bring about this most holy purpose in the most suitable manner possible. This is the object not only of readings, homilies and other sermons given by priests, as also the whole cycle of mysteries which are proposed for our commemoration in the course of the year, but it is also the purpose of vestments, of sacred rites and their external splendor. 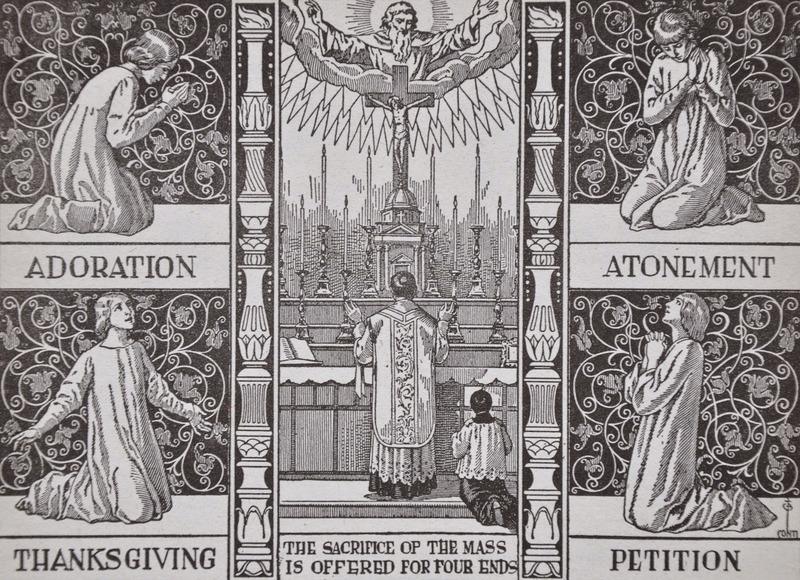 All these things aim at “enhancing the majesty of this great Sacrifice, and raising the minds of the faithful by means of these visible signs of religion and piety to the contemplation of the sublime truths contained in this sacrifice” (Council of Trent, Sess. 22, c. 5). A failure to “raise the minds of the faithful . 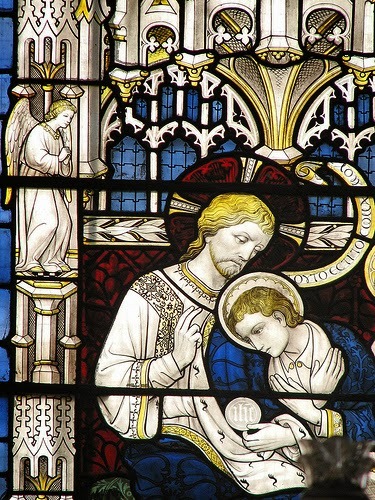 . . to the contemplation of the sublime truths contained in this sacrifice” is not just an incidental problem or marginal mistake; it is something close to a total liturgical disaster, a failure to prepare the faithful to take part worthily in the Lord’s sacrifice and to approach communion with the proper dispositions. It is therefore a failure to build up the Body of Christ in such a way that the Mass will actually benefit the particular members of the Church ex opere operantis, by their very acts of “adoration, honor, praise, and thanksgiving to the supreme majesty of God.” In short, it saps the strength, disturbs the order, and hinders the mission of the Church Militant. The attitude, the dispositions, the state of mind and heart of the Christian worshiper as described by Pope Pius XII imply a significant responsibility on the part of clergy and church musicians to practice the liturgy in such a way that these goods can be genuinely fostered in the Church. May we do our part, be it big or little, as cleric, religious, or layman, to put into practice the vocation of adoring love to which Our Lord has summoned us.